Radio DockDogs Episode 138 – It’s About Community! Radio DockDogs Episode 138 is here with an interview with Joan Gunby, a longtime competitor and DockDogs Regional Rep and member of the newly formed DockDogs Ethics Committee. In addition to her involvement with DockDogs Worldwide she’s also on the board of the Delmarva DockDogs club who have a jam packed season full of exciting events ahead in 2016. 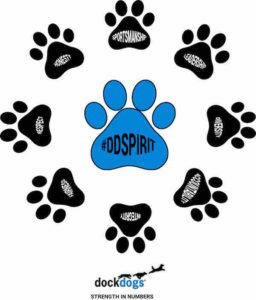 Tune in today and hear about how DockDogs is all about the #DDSPIRIT through the COMMUNITY!